We believe it is wrong to use oil-based or high energy input fibres when wool and other natural fibres are sustainable high-performance raw materials providing warmth, insulation and comfort. I think there is something very forward-thinking about The Natural Fibre Company. The emphasis on producing sustainable, breed-specific products is akin to contemporary trends within the culture of Farmer’s Markets; if you know exactly what you are buying, where it has come from, how it has been produced, the product has an added value. I love that on The Natural Fibre website for example, you can watch videos detailing the journey of fibre spun there from sheep to shelf. I also like how – as a knitter – you can learn about sheep breeds and their difference fleece qualities by knitting with breed-specific yarns. Blacker Designs provided much of the yarn for an amazing class in knitting with rare breed wool which I attended, and which was run by Deb Robson (whom we heard from earlier in Wovember). I was amazed by the different natural sheep shades which exist, and also by how differently the wool from each different breed behaves when you knit with it. At the show, the finished cushions will be stuffed with British wool stuffing and there will be a race against time to finish the last few, to get them to BOA in time. These cushions will be given to the young athletes to encourage them through the final weeks of their training. People of all ages and backgrounds, individually or in school, WI, and craft groups across the UK are already busy making up to 14,000 cushions from British wool to be given as personal welcome gifts to the athletes competing in the London 2012 Olympic and Paralympic Games. The project enables everyone including carers, the disabled and those with challenges in their life to have a personal connection to the 2012 Games through making a Woolsack cushion. Each cushion has the special Woolsack label stitched on and carries a label with a personal gift message from the maker(s). Moving messages on the cushion labels show how much the makers appreciate the opportunity to have a personal involvement with the 2012 Games. Anyone of any age can contribute towards making a cushion. Several schools in the north of England are learning new skills to enable them to make cushions from British wool, with some donated by local farmers. These powerful sculptures reflect the region in both symbol and materials. Richard the Lionheart’s three lions crest is created using locally sourced Peak District wool, celebrating our rich textile heritage. Nancy J. Clemance proposes Hutliving Project, commissioning artists from a wide range of disciplines to make a creative response to individual shepherd huts across the region’s countryside. These dwellings are currently in varied states of repair, with some being permanently occupied and others in the process of being brought back to life. The specific location of each hut will inspire the shape and look of the artistic commissions and reveal a historical map that reflects a slower pace of life in contrast to our overloaded-consumer generation. From this a new map will emerge to encourage visitors and, by June 2012, it will feature a trail of the finished commissions. Each will be located at least within or nearby their hut and help to provide a new interpretation of England’s rural history, complemented by a series of public events at regional galleries. The idea of the giant lions clad in Lake District Wool is definitely impressive, but Nancy Clemance’s project held the possibility for deeper community involvement with the physical evidence and geography associated with wool production in the UK. 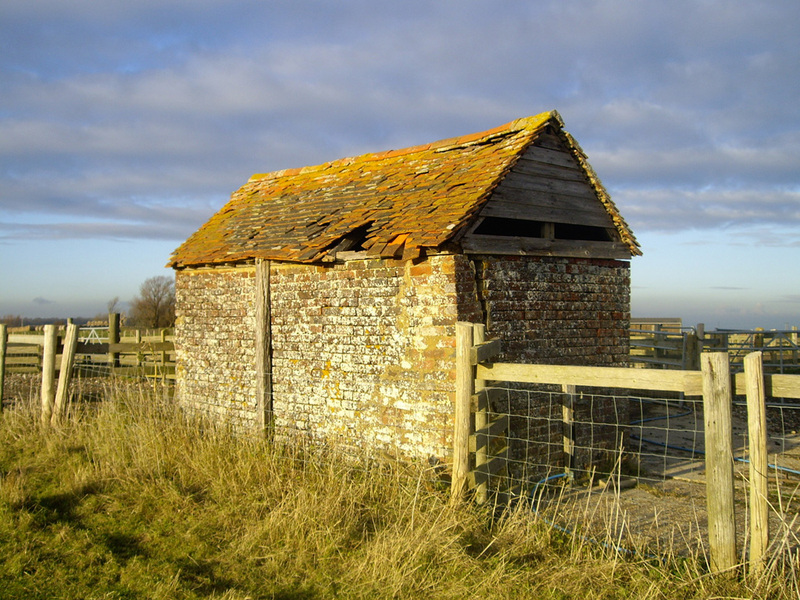 I am slightly obsessed with the different types of huts connected with different regions of Britain, and with the Shepherd’s hut as a sort of makeshift and necessary dwelling for minding animals during difficult lambings or harsh winters. I felt that a project which invited artists to look at the spaces which Shepherds historically used would give insights into the poverty and difficult realities often associated with this thankless work – on which England’s great Wool trade depended – whereas the idea of the giant, crocheted lions does somehow allow that side of things to be overlooked in favour of offering woolly novelty and spectacle. 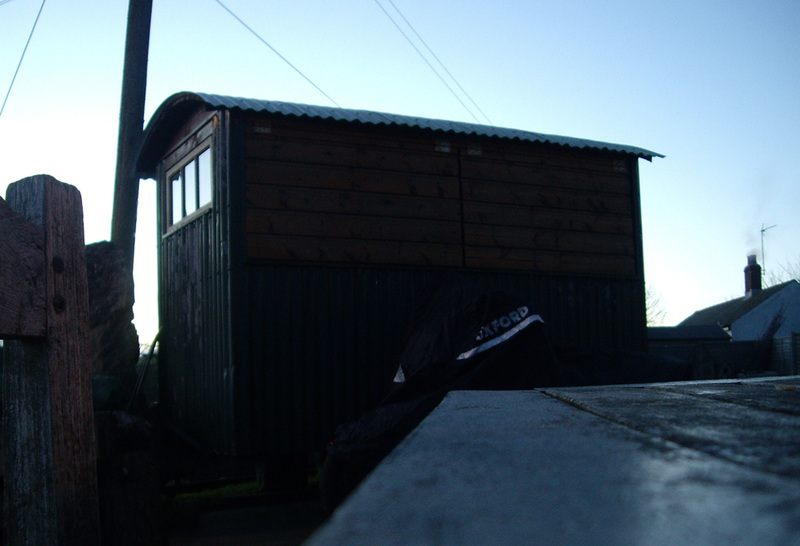 When I read about Hutliving – Nancy J Clemance’s proposal for the Cultural Olympiad – I was encouraged by the idea that interest in some of the most neglected, historic spaces in the British landscape – Shepherd’s Huts – might be revived through public engagement. But alas, it was not to be. 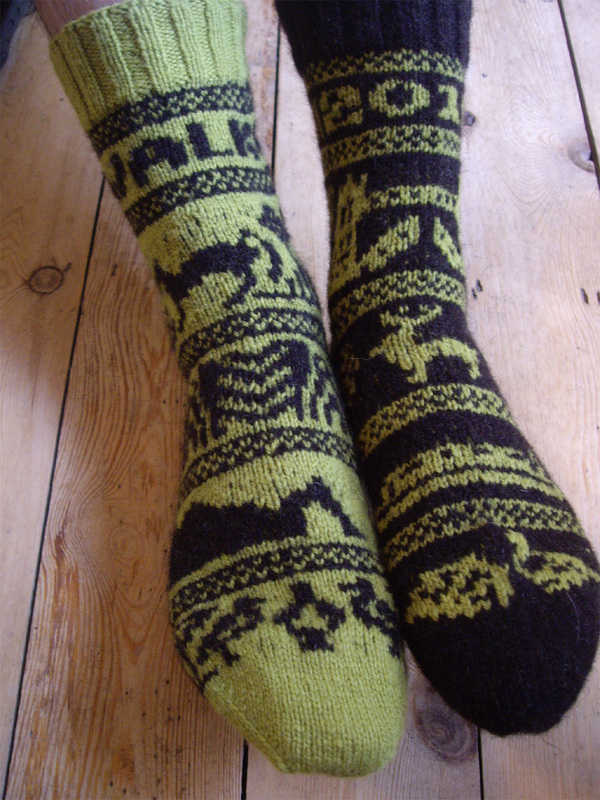 My own modest, woollen contribution to the Olympics will mostly consist of creating woollen socks and walking accoutrements to clad myself and Mark while we undertake his long-distance walk – Walk 2012 – during the London 2012 Olympic Games. We shall walk from the sailing area where the Olympics begin, (Weymouth) to the stadium in Stratford, (London) in time for the closing ceremony. This 180+ mile walk – scouted out entirely by my gorgeous, wool-wearing partner, Mark Stanley – will take in many traditional sheep-farming areas, and I am sure the long hours of walking will be full of talk of Britain’s former flourishing wool trade as we trek through the various counties covered by the walk. 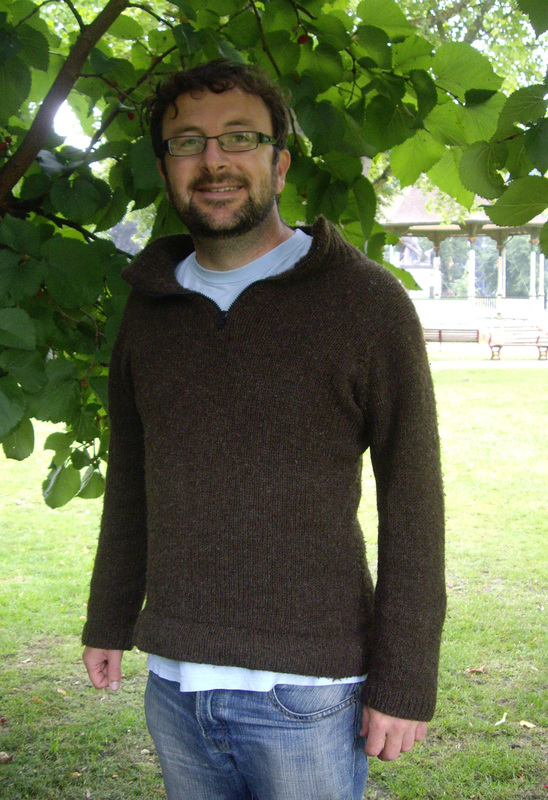 Incidentally, the socks I knit Mark for the purpose of celebrating his long-distance route-finding skills – and the sweater he is wearing in the photo above – are made in Blacker Designs Yarn, and Mark has written about wool as the bet material for walker’s base-layers here. However, in considering all the ways in which wool has been associated with cultural plans re: The London 2012 Games, for community involvement credentials it really is hard to beat Woolsack. People have been gathering in dusty halls around Britain for centuries to weave and knit and talk and make such humble things as cushions. For its connection to existing networks of craftspeople, and for its links to a history of Village Fairs and Church Bazaars, I love the idea of the Woolsack project. I also find Woolsack to be an excellent example of the fact that Art and Culture do not just happen in the great cities of the UK, commissioned by ACE, but that people are making things in their houses and their community centres now – as always – and that this too is absolutely as much a part of British Culture as public commissions and gallery exhibitions. 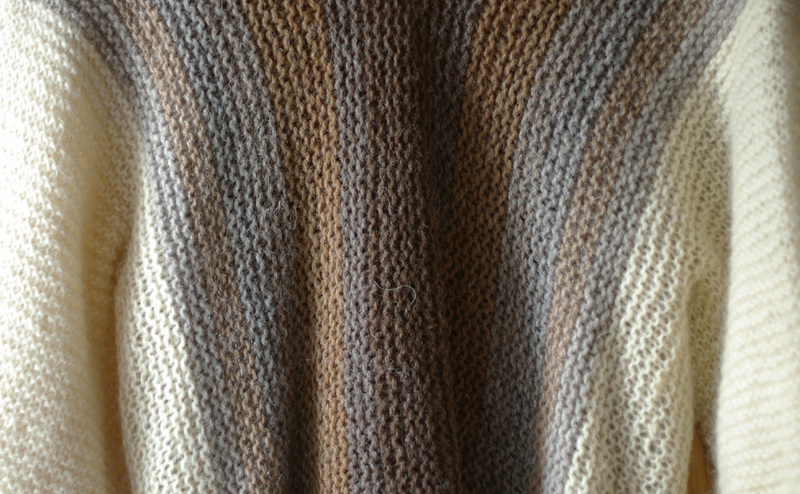 Many people are involved in Woolsack, and it is absolutely connected to the British Wool Trade as it stands today – right from the enthusiastic yarn-purchaser and hand-knitter through to the mill-operators, scourers who wash wool, and all the shepherds with flocks whose wool is suitable for spinning into yarn. It is easy to be cynical about the Olympics – about the time and resources and space that are taken up by hosting the games in London – but they are happening whether you care about Athletics or not. I for one am absolutely delighted that – through the efforts of everyone involved in Woolsack; through Shauna Richardson’s spectacular lions; through the wool we shall wear as base-layers and hats on Walk 2012; and even through the proposal for Hutliving – WOOL will be a part of that. All the quotes in this post relating to Woolsack have been taken directly from a press-release issued by Sue Blacker, who has also contributed some extra prizes to our Wovember competition (see the competition page for details). 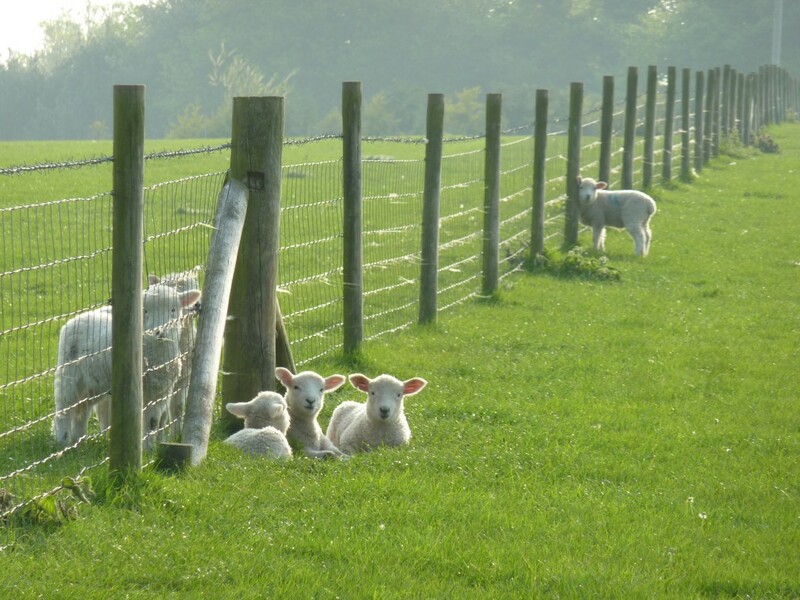 Sue suggested that we award vouchers for the best sheep photos entered into our gallery, “because sheep are where it all starts.” We couldn’t agree more, Sue.